We're getting the exact opposite of what we voted for. 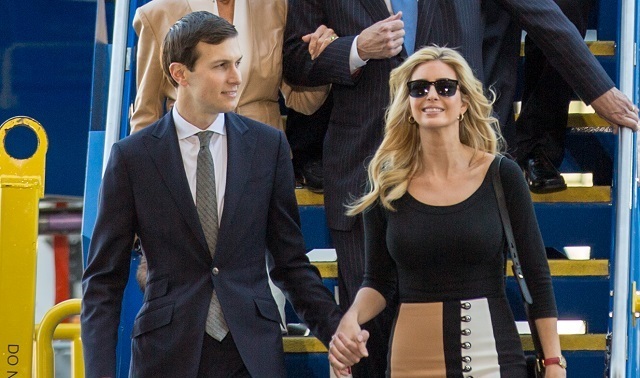 Jared Kushner, Trump's son-in-law and senior adviser, has been working for months on a proposal that could increase the number of low- and high-skilled workers admitted to the country annually, four people involved in the discussions told POLITICO. The low-profile effort to allow more legal immigrants into the U.S. cuts a stark contrast to Trump's increasingly dramatic efforts to curb illegal immigration, an issue he speaks about daily and describes as a national crisis. But Trump himself has publicly said he also supports higher levels of legal immigration, a priority generally supported by a business community short on skilled workers. The effort began in January when Kushner started to convene a series of meetings with dozens of advocacy groups, including business and agriculture organizations. Some, though not all of them, openly support the expansion of legal immigration. It has continued in recent weeks with a smaller four-person White House working group led by Kushner, and could generate a proposal for Congress by summer.